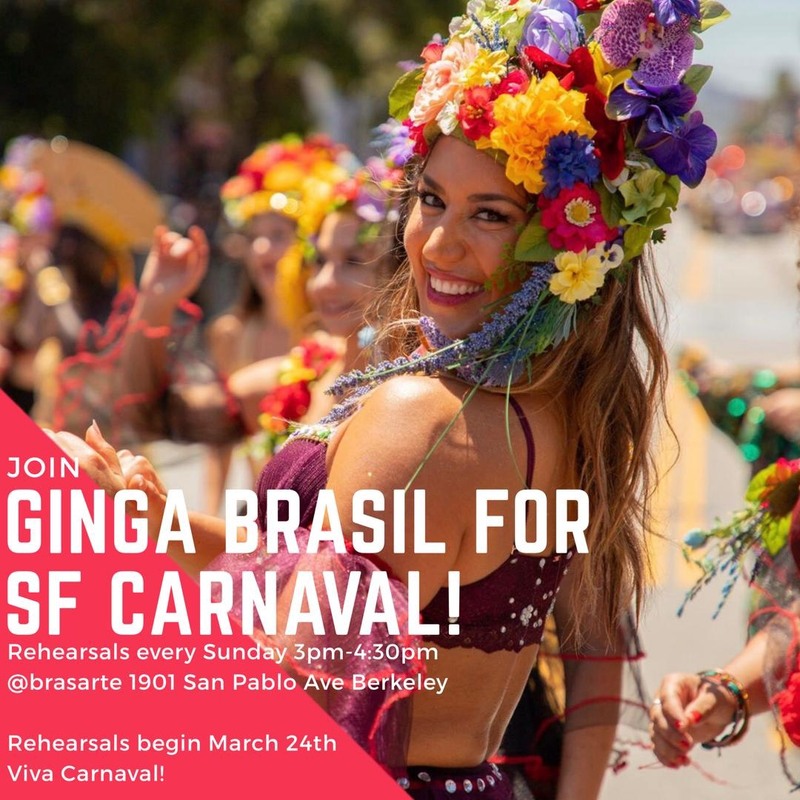 BRASARTE BRINGS THE BEST OF BRAZIL TO THE BAY AREA! Free Carnaval Parade Youth Classes Tuesdays, April 16-May 21! Discover the fun of Brazilian dance and the excitement of performance! Visit Our Workshops Page for More Details on Workshops! Amazing Guest Artists from Around the World! Click on an Image to Visit the BrasArte Events Page! Dance and music classes, performances, and educational programs at BrasArte are supported by our community mostly through individual donations, with only some foundation and government grants. Participation from sponsors at BrasArte is vital to our mission to reclaim, preserve, and present the cultural legacy of Brasil in the United States. We invite you to make your gift to BrasArte’s Annual Fund today. to present a spectacular array of experiences celebrating Brasilian culture. BrasArte at Casa de Cultura is your space to discover and celebrate the diversity of the Brasilian experience. Thank you for helping to make this cultural center a living and interactive reality for everyone.